One of Alabama’s greatest challenges is to continue developing a workforce that is well-trained and prepared for good jobs. Under an agreement signed in Mobile on Thursday, another path forward will be opened. 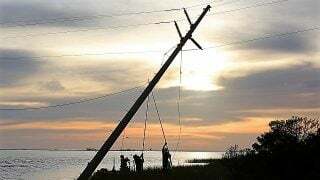 Alabama Power and Bishop State Community College have agreed to be partners in offering a training program for potential electric utility linemen. The program, to be housed at a building to be renovated on the college’s Southwest campus in Mobile, will include three classrooms as well as a learning laboratory and an outdoor hands-on learning area where linemen can hone their skills. 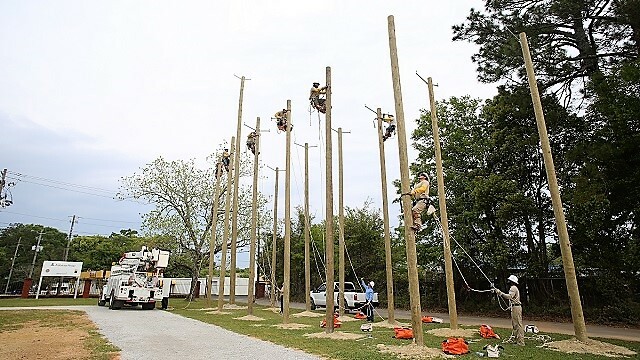 The purpose of the center is to prepare students across Alabama communities to work as linemen. Students can learn the fundamentals of electricity as well as the math and science knowledge needed to work on power lines. As with any endeavor at Alabama Power, there will also be an emphasis on working safely. “We are excited to partner with Bishop State to provide a facility where Alabamians can train for good, safe jobs in our industry,” said Jeff Peoples, Alabama Power senior vice president of Employee Services and Labor Relations. The 10-week program is set to begin next year. Up to 20 students will be accepted. In addition, in agreement with Bishop State, Alabama Power will utilize this renovated training space for its incumbent employee training, which brings new technical training to southern Alabama. Bishop State is an accredited, state-supported, open-admission college providing a quality and affordable education for its students. Its mission is to equip its academic and technical students with the skills and knowledge needed to enter the workforce and succeed.